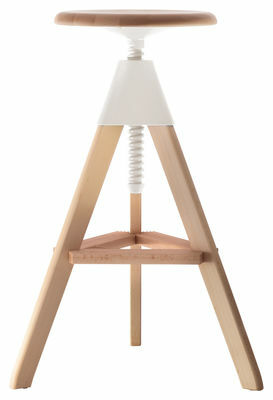 TOM & JERRY is the redesign of a classic furniture typology: the workshop stool. 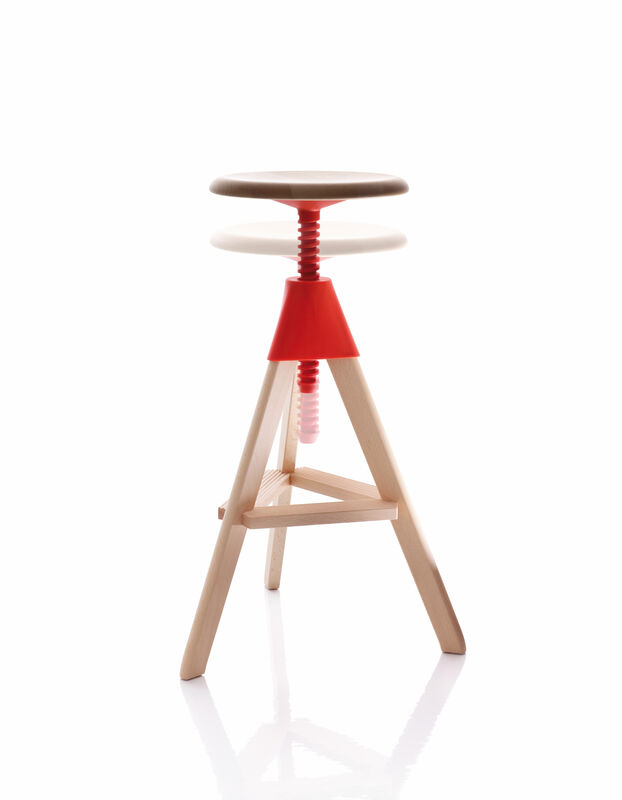 The three-legged stool (in two different heights) is made of solid beech wood with mechanical parts in self lubricant plastic. Due to its smooth-running mechanism it is easy to adjust and convenient to climb. The stools make a versatile addition to working, recreational and private environments alike: an office canteen, the health food restaurant or the kitchen counter at home. It's the working stool of an architect or a scientist, the resting place of a museum guard, telephone stool, valet in a changing room, seating for children at kindergarden.